Introducing government e-services has not always proved successful in SA. Although different municipal e-services have received mixed results around the country, a Port Elizabeth-based company has entered the fray, hoping local governments take its mobile app solution on board in its bid to simplify interactions with frustrated ratepayers. Leverage Point, an IT product development company, has developed the South African Municipal Assistant - an app enabling people to view municipal statements, simplify payment processes and access local government information. According to Zahed Rassool, head of IT operations at the company, the venture started as a means to find a way to speed up the way municipal statements are compiled and sent to ratepayers. "Instead of municipalities sending statements to printers, they get uploaded into an administrative console. We have an algorithm that runs with municipal systems and it converts them into virtual statements that are then sent through the app. Users can then view it and proceed to make payments," he says. Rassool adds the system can also work as an urgent news platform from the municipality to residents, including water and power outages. He says the Bloemfontein, Polokwane and eMthanjeni municipalities have so far been receptive of trialling the application, while more regions will be targeted. But modernising municipal payments is not always a silver bullet solution. 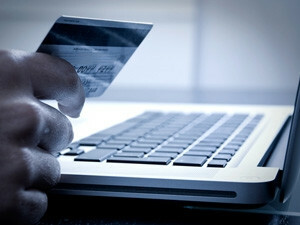 The City of Joburg's e-services platform, which was punted as the next step in transforming towards smart city status, encountered technical glitches that had an adverse effect on the municipality's dire financial situation. A report on the city's finances revealed it was owed a whopping R17.2 billion, a predicament that has not improved despite its bids to sort out the invoicing situation. The billing crisis also featured in president Jacob Zuma's State of the Nation Address, following his inauguration in June, as he noted government would play a hands-on role in resolving the problems. The city's 2013/14 review of its Integrated Development Plan seeks to cement financial sustainability and resilience by targeting an "80% reduction in the number of bills returned as a result of incorrect or incomplete customer information" by 2014/15. This aims for 100% accuracy in service billings within the same period. Last month, the eThekwini Municipality unveiled DynaTech - another mobile app solution targeted at residents. Meanwhile, the City of Tshwane's ICT strategy has rolled out e-Tshwane - a Web-based and mobile-friendly portal enabling people to interact with the municipality as well as pay their bills.